Renesas Electronics Corporation (TSE: 6723, Renesas), a premier supplier of advanced semiconductor solutions, and J-Devices Corporation (J-Devices) today announced that they signed a Memorandum of Understanding today regarding the transfer of the semiconductor back-end production business of three facilities operated by Renesas' wholly owned manufacturing subsidiaries (the Hakodate Factory of Renesas Northern Japan Semiconductor, Inc. (Renesas Northern Japan), the Fukui Factory of Renesas Kansai Semiconductor Co., Ltd. (SKS), and the Kumamoto Factory of Renesas Kyushu Semiconductor Corp. (Renesas Kyushu)) and Renesas Northern Japan's wholly owned subsidiary, Hokkai Electronics Co., Ltd. (Hokkai Electronics) to J-Devices. This proposed transaction aims at building a long-term, mutually beneficial relationship between the two companies as strategic partners in the semiconductor production business. With today's Memorandum of Understanding as the basis, the two companies plan to negotiate a final agreement and to complete the transfer in early June 2013. As the definitive terms of the proposed transaction including the transfer method are currently being negotiated, they are omitted from this press release. They will be announced when definitive agreements are completed. As announced on July 3, 2012, in "Renesas Electronics Announces the Direction of Various Measures to Establish Robust and Profitable Structure," Renesas is proceeding with the restructuring of Renesas Group production facilities in Japan in order to strengthen its revenue base. As part of this process, under a production strategy in which the back-end facilities in Japan specialize in production of high-value added products with increasing outsourcing ratio as well as production ratio at Renesas overseas sites as a result, the Yonezawa Factory of Renesas Northern Japan and the Oita Factory of Renesas Semiconductor Kyushu Yamaguchi Co., Ltd. were to be maintained and strengthened, and the Hakodate Factory of Renesas Northern Japan, the Fukui Factory of SKS, and the Kumamoto Factory of Renesas Kyushu (the Hakodate Factory, Fukui Factory, and Kumamoto Factory are referred to collectively below as "the facilities to be transferred") were to be "considered for transfer within one year" in a process of selection and focus of business operations. 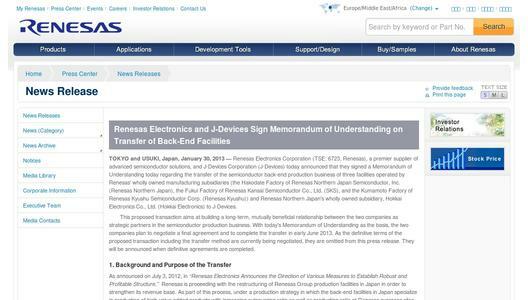 Accordingly, Renesas began looking for a transfer assignee with whom it could expect to build a long-term partnership that would strengthen the competitiveness of the facilities to be transferred and provide a high-quality, reliable supply of products. As Japan's largest independent company devoted to semiconductor assembly and test operations for customers, J-Devices understands that, to further grow its business, it must be cost-competitive with business rivals based outside of Japan. 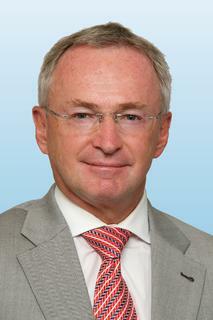 To that end, J-Devices believes it is of the utmost importance to expand the scale of its operations. Against this background, Renesas and J-Devices came to a common understanding, and as the first step in the building of a long-term partnership between the two companies, a Memorandum of Understanding was reached today to transfer the semiconductor back-end production business of the facilities to be transferred and also Hokkai Electronics, which performs production support operations for the Hakodate Factory, to J-Devices by early June of this year. The current employees of the transferred facilities will be "on loan" to J-Devices for a set period, under the premise that they will be reassigned to J-Devices on the basis of individual agreements in future. 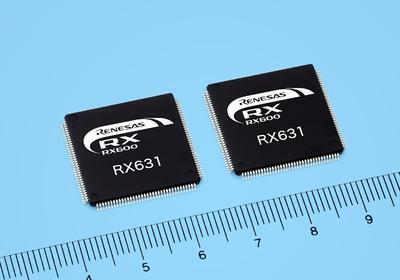 The Renesas products which will be manufactured at the facilities to be transferred will continue to be supplied by Renesas to customers with the quality, delivery schedules, service equal to or better than before even after the transfer. In addition to the current seven facilities of J-Devices (Usuki, Oita Prefecture (Headquarters); Kitsuki, Oita Prefecture (Headquarters functions); Shibata-gun, Miyagi Prefecture; Aizuwakamatsu, Fukushima Prefecture; Miyawaka, Fukuoka Prefecture; Oita, Oita Prefecture; and Satsumasendai, Kagoshima Prefecture), the present transfer will add an additional three production facilities. This will make J-Devices one of the world's top five OSAT (Outsourced Semiconductor Assembly and Test) service providers. At the same time, the advantages gained as a long-term strategic partner of Renesas, including larger business scale, fusion of technical capabilities, and expanded product lineup, will enable J-Devices to improve cost competitiveness, technical capabilities, and product quality, allowing it to contribute to the continued development of the semiconductor industry as a world-top-level OSAT service provider and also providing substantial benefits for customers.